Ahead of it kicking off overnight, NJPW has revealed nearly all of the non-tournament schedule for this year's G1 Climax. As always, there will be undercard tag matches on the shows to build up the next set of tournament bouts. The most noteworthy of those is scheduled for August 10, where Kenny Omega & The Young Bucks will team against Kota Ibushi, Marty Scurll & Chase Owens. The next night, Omega and Ibushi will face off at the final B Block show. The Young Bucks will also be in action on August 11, teaming with Scurll against Jay White, Sho & Yoh. 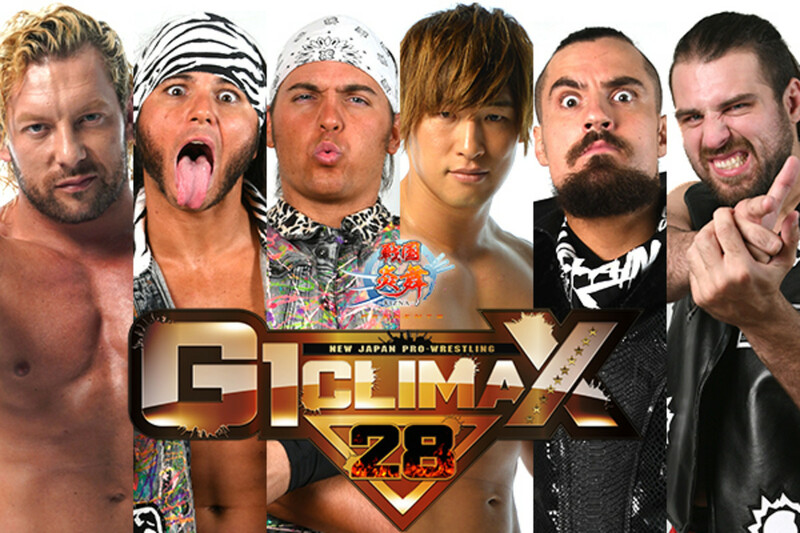 Tomoaki Honma, who returned to the ring last month after suffering a career-threatening cervical vertebrae injury in March 2017, will be in action on that show as he teams with Hiroshi Tanahashi, Togi Makabe & Michael Elgin against Kazuchika Okada, YOSHI-HASHI, Jado & Gedo. Tanahashi vs. Okada is set for the previous night's A Block finals. Sho and Yoh, who are partners as Roppongi 3K, will be facing each other in a few tag matches on the tour when both teams are from their Chaos stable. The tournament will begin at 5:30 a.m. Eastern time tomorrow (Saturday) as the first A Block show takes place in Tokyo. It will conclude with three consecutive nights at Budokan Hall, with the finals set for August 12. The full card for the finals won't be revealed until shortly before the event. The match order for the block finals, along with the order of the undercard for the August 8 show, also isn't yet official. "Sengoku Enbu," a promotional tie-in wrestler named after the card game that's sponsoring the tournament, in action. They'll likely be played by a member of the NJPW roster.